How did the minister's claims to an EP committee stack up against the facts? How did Justice Minister Owen Bonnici's claims to MEPs on Monday stack up against the facts? Jacob Borg looks at four key claims. Fact: The government publishes a general list of all people who became naturalised citizens over a one-year period, not a specific list of people who bought Maltese and EU citizenship under the cash-for-passports scheme. The scheme’s regulator has endorsed a call by local lobbyists to remove the names of passport buyers from this annual list. The regulator instead suggested that MPs should be given access to the data under an oath of secrecy. Fact: Dr Bonnici uses two inquiries instigated by politicians as a blanket clearance of any wrongdoing in the Panama Papers case. He gave the committee the impression that inquiries were started during the normal course of investigations. In fact, cases only began because former Opposition leader Simon Busuttil took to the courts due to the lack of police action. Dr Busuttil presented leaked FIAU reports which the police had declined to act upon to the courts. 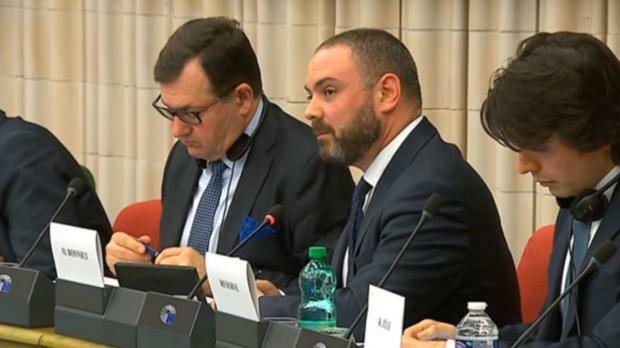 The Justice Minister did not tell the Committee that the police failed to act on an April 2016 request by the FIAU to begin an immediate investigation into the Prime Minister’s chief of staff Keith Schembri and Tourism Minister Konrad Mizzi. Fact: The Justice Minister was given full access to the 1,400 page Egrant inquiry, providing legal counsel to the Prime Minister. Only selected conclusions from the inquiry were published. It recommended further investigations into a number of people, and key characters like Nexia BT’s Karl Cini, ex-FIAU manager Jonathan Ferris and Adrian Delia aide Pierre Portelli have been called in for questioning. The government has refused to publish an unredacted copy of the Egrant report, citing privacy concerns. Fact: Dr Bonnici gave the impression that the Venice Commission report was solicited by the government, when it was the Council of Europe which first requested an opinion on Malta. The very preamble to the Venice Commission’s December report clearly shows that the CoE made the initial request, on October 10. That same preamble shows that the government request for an opinion came three days after the Council of Europe’s. In reaction, the minister said the article above "misses the point" on every matter raised. "I gave no wrong information to the TAX 3 Committee despite your efforts to disseminate misinformation to the contrary." Citizenship: Why does the fact that the names of persons acquiring Maltese citizenship through the IIP programme are not published in isolation but in a list of all persons who acquired Maltese citizenship during the year make a difference as to whether such names are published or not? Such persons become Maltese citizens like all the rest. The fact remains that Malta publishes the names as distinct from what goes on in other countries. Panama Papers: It was obviously not to the liking of some politicians that the courts have found that the information submitted to them by former Opposition Leader Simon Busuttil in support of his claim to start a magisterial inquiry did not meet the requirements of the law. That is nevertheless a fact resulting from two court decisions which are well known to all in Malta and obviously also to the MEP’s on the TAX 3 Committee. Are you suggesting that the MEPs do not follow the local scene and are gullible? Furthermore, the Egrant inquiry was initiated following a request by the Prime Minister himself. Again, MEPs are not gullible. Extent of the powers of the Justice Minister: Unlike the situation in a substantial number of other European countries, the Ministry of Justice in Malta has no residual or exceptional powers with regard to prosecutions. This is all the more so with regard to investigations. Access to the Egrant inquiry report for the purpose of advising the Prime Minister as Minister of Justice was only given after that report was concluded, its main conclusions were made public and a copy had been released to the Prime Minister. That fact has nothing to do with any access by the Minister of Justice to ongoing investigations. There is no such right of access as I correctly informed the TAX 3 Committee accordingly. Venice Commission: Irrespective of the three-day gap between the request of a Committee of the Parliamentary Assembly of the Council of Europe to the Venice Commission and that of the Government of Malta, the fact remains that the Government itself invited the Venice Commission to express its opinion on Malta. This happened following a meeting with an EP committee, where this suggestion was mooted from the side of MEP Sophie in ‘t Veld. The government subsequently requested an Opinion from the Venice Commission.